Embark on a journey through the seas with our Cruise Services. Andaman Swagat is one of the leading Tour Operators in Port Blair (Andaman & Nicobar Islands, India), offering assistance in making you choose the best cruise travel plan within your budget. We have a hired a team of highly experienced personnel with profound knowledge about the travel industry. 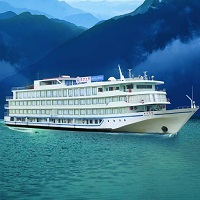 They will help you choose the best location and arrange for accommodation on a cruise offering facilities you demand. Furthermore, we will help you with documentation, procedures and follow-ups. Over the years, we have formed cordial relationships with many of cruise conductors. Thus, we are capable of making swift bookings at discounted prices.